We are at four days and counting, yep, only four more days until the wedding! Starting to pack up the bags and boxes...decorating day is in three days...YIKES! Sure glad I've got my Thirty One bags, they hold A LOT!!! I have some bags with old patterns, and some new patterns too...in fact...you see that owl pattern? Well, it's not even out yet. I am thinking it will be coming out in November. All you owl fans, I know you will love this bag. Anyway, as you can see we have A LOT of stuff. This is just a fraction of it all. Decorating is going to be fun, and I really do mean that. I am grateful though for all my friends that are coming to help. There is no way I could do it without them! Well, it is the state of Kentucky's musical instrument, and I learned to play it last night; well, I took a lesson. It is called a dulcimer. I love music, but when it comes to learning to play an instrument...well, I just have never had much luck. Growing up, I remember visiting my grandparents in Southern Colorado. Grandma had an old antique piano that I loved to bang on (as my dad would refer to it as). I never learned to play, but I did pick some songs out. The highlight of our visit was to get Grandma to play chopsticks. She would only play it once; it was the only thing she knew how to play. She would put everything into it, all 5 feet of her, and it sounded great! When I was 12, I took guitar lessons...I was not very successful; I did learn a few songs, but was never good enough to perform. When my kids started taking piano lessons, I tried to learn right along with them, with zero success. The boys lost interest once they started high school. My daughter, well, she is actually pretty good...she plays at church. Last night when my friends and I went to dulcimer lessons, I really didn't know what to expect. It was actually quite easy. One does not need to know how to read music. If you can count to 12, well, you can play the dulcimer. I was able to pick up one song pretty well. It was called Boil Them Cabbage Down. Here is what it sounds like. Of course this is a much more advanced rendition of the song. I think because of my dance background, I could actually learn to play this instrument. You need to be able to hear and feel the rhythm which I can, and you don't need to be able to ready music, which I cannot. I guess I'll go back next week and try it again. We are at 17 days 'til the wedding! I think we are pretty much done, except the food and little things here and there. Since the colors are pink and green and mason jars are being used in the decor, the bride decided to also use burlap and lace. She also saw some cool looking "wine" glasses. We figured we could make them. So we got a couple of medium size mason jars, and couple of candle sticks. You can usually get these at the dollar store, but I had a some on hand that I've had for over thirty years. Probably used them once; I decided to donate them to the cause. We bought some burlap ribbon and found this cute flower trimming...perfect! The bride found this cute key chain with "Two Peas In A Pod" that I dangled off the candle stick after I wrapped the stem in hemp. And this is what the "wine" glass turned out to look like. Now I had to do something for the groom that wasn't so feminine. I changed the hemp up a bit. Found some rick rack and added some white and pink buttons I had on hand, and went to gluing. After everything dries, I need to clean up the glue mess a bit. And there ya have it....two "Hillbilly Wine Glasses..." Now all I got to do is get some sparklin' cider. So, what do you think I did with these? I made a hillbilly wine glass out of them. This one is Anna's. Tomorrow, I will make Miles'. Guess what I'm going to do with these? 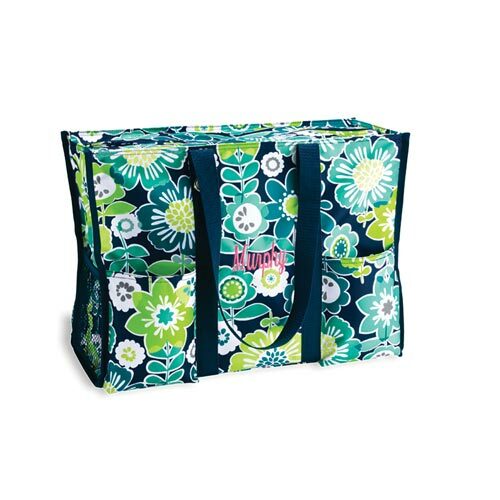 My Thirty One Preparedness Open House is over with, but it is not too late to order. I will be keeping the party open until Thursday. Here is a great example of what you can do to get in on the good deals going on in September. One of my party guests bought this About Town Blanket in the Best Buds print. Then she got the Super Organizing Utility Tote for half price! Now all she has to do is fill this up with all her 72 hour emergency supplies and she is ready to go. Hopefully, she won't ever have to use it, but if she does, she has it...AND it looks nice too! Imagine you are tucked away in your bed, sound asleep, and sometime after midnight, you hear a very loud banging on the door and someone yelling, "POLICE!"? You've never had any legal issues, except maybe one speeding ticket in your life. You slowly drag yourself out of the bed and before you answer the door you inquire as to who it is...you can never be too careful now a days. You do notice blue lights flashing around the house through your windows, so you are pretty sure it really is the police. You open the door to see what the problem is. He tells you that you have to leave right away, that there has been a kidnapping in the neighborhood. You notice the SWAT team running to their spots. You ask if you can get dressed, and the officer says, "NO! Just get your shoes and go!" So you grab your shoes and head to your car in your PJ's, and drive off. OR.....do you have an 72 hour emergency kit? If you do, then you can grab that along with your shoes and head out. You will be set for three days...food, clothing, and whatever else you need during that time. This story seems a bit extreme, but it really happened to my parents, and they live in a pretty nice neighborhood. These type things can happen anywhere. Would you and your family be prepared? September is Preparedness Month. September is also a good month to get a couple of very nice bags that you can use for many things, including your 72 Hour Emergency Preparedness Kit. The Super Organizing Utility Tote and the Organizing Utility Tote are both half price with any $35 order from Thirty-One Gifts. Thirty One also has other things that could help you get your kit together, including the About Town Blanket. Hey! 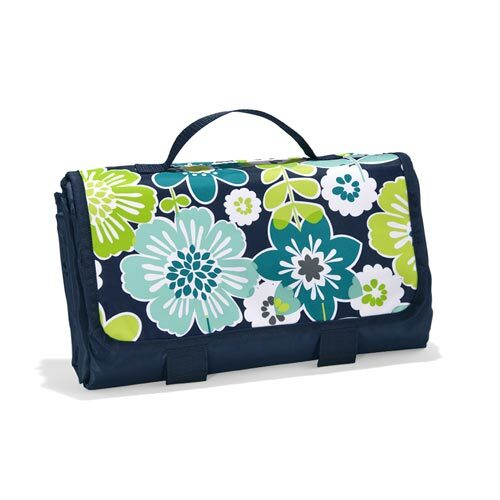 you could purchase the About Town Blanket for $40, then get your Super Organizing Utility Tote for half price. What a deal!!! So let me take you on a tour of this bag. I added the Pocket-A-Tote for small things. As you see I could not fit the water into the bag, but you need a gallon of water per day per person. I'm not sure there is a bag that will fit THREE gallons of water AND all your other stuff. It would also be very heavy. So, I figured I would keep our bags and the water together, then we would just have to grab the bags and water and go. Inside my bag, I have all my food for three days and a jacket, sweat pants, tshirt, two pair of clean socks and three days of undies. I can handle not changing my clothes for three days, but my socks and undies, well gotta change those! The food I have are things like protein bars and shakes, fruit, juice, water, squeeze cheese and crackers, tuna and cracker kit, trail mix, nuts, mints, gum...stuff like that. Something that is easy to fix, yet will keep you going and also something that you will eat. Remember too, you should change this out every six months. I plan to change in October (winter stuff) and then again in April (for summer clothing). This will also keep you food and medication, etc fresh. I hope this helps. Everyone person in your family should have one of these. I grew up and have lived in other areas that are prone to hurricanes. Many people have to evacuate. This is the type of thing each individual in the household needs to survive for three days. It usually takes three days for any supplies to get to a disaster area, so you really need to be self sufficient for AT LEAST three days. If you have any other questions about the types of disasters in your area and how to put together your family's 72 hour survival kit, just visit the Red Cross web site. Our local Red Cross people are so nice and ready to help you out with any questions you might have. And...if you are in the Madisonville, KY area today, come on over to my house between 1 and 3 and I can show you what I got that can help you get organized. The Red Cross gave me all kinds of handouts on emergency info I would love to share with you! Free To Be Carry All Is A Winner! In the month of August Thirty One Gifts gave each of us an opportunity to purchase any of their new line of purses for 1/2 off. I chose the Free To Be Carry All. I debated on which purse, as there are so many to choose from, but this looked most like what I would carry. I normally like bright colors, and the brown really didn't catch my attention, but hey! brown is a neutral, and besides, I can put a pop of color by using one of Thirty One's rosettes, or scarfs. I chose to use the pink scarf I got in my new consultant kit, because I like pink so much. Okay...so on with the tour of the bag and the why I like it so much. Let's start with the outside pockets...FOUR of them!!!! Two on the sides; one holds my water bottle, and the other holds my cell phone. Usually I carry my cell phone in my pants pocket, but sometimes when I'm out and about, I'd rather put it in my purse, and these pockets are a perfect size for it...AND, I'm not afraid it will fall out and get lost. Two more BIG pockets...one in the front and one in the back. These are HUGE...and...they have a snap closer! I carry my keys in one of them...easy, quick access to the keys, instead of digging around in the main pocket area for them. Okay, now for the inside. Nice roomy area for all my essentials, including my ginormous prescription sunglass case, camera, wallet, and large calendar...with room to spare. Two smaller pockets, I use one for a small comb I carry. The other could be used for a cell phone. The handle on this purse if very sturdy. I have it doubled up right now, but I wore it longer yesterday for a hands free cross body style. In October, we are going on a cruise and I plan to take this purse with me. There is room enough for all my stuff, and it is very comfortable to carry, not to mention it looks good too! I was able to get this for half price last month because of the great sale Thirty Once had going on, but don't fret, if you really like this purse, or any other purse, you could have a party and get it for half price; maybe even get it for free! For the month of September, if you host a $600 party or more, you will get double hostess money. Yes, DOUBLE! Normally a $600 party you get $100, so that means in September you would get $200!!!! And, let me tell you, a $600 party is not that difficult to do. So, if you are interested in having a party, let me know by contacted me at wonderfulworldofbags@yahoo.com. You can go visit my website at mythirtyone.com/terryjeanettecarterhttps://www.mythirtyone.com/TerryJeanetteCarter/ and do a little shopping. If you are not local, I can still help you have a party. Through Facebook (Wonderful World of Bags, etc...), or just have a catalog party with your friends, family and coworkers. I'll be glad to help you have a successful party. Yep, we are in wedding mode, again...just 27 more days! Here is our big mess of wedding stuff. In the back of the picture, you see the wedding invites being addressed and ready to send out, in the middle of the table, you see some of the bouquets, then in the you see my camera, ribbon, scissors, mason jars, etc...all this in preparation for the big day. I was able to finish all the flowers today, except the bouquet Anna will throw. These are for her bride's maids. Aren't they pretty? The roses look so real. I used pink ribbon to wrap the stems, and hemp, pink and white ribbon to make the bow. Anna mentioned today, "Too bad we can't find a turtle and/or frog to go somehow with the decorations. It would be cool, since it is like a garden wedding." I also found a butterfly charm for the maid of honor bouquet. Here is the bride's bouquet...burlap and lace and ribbon. 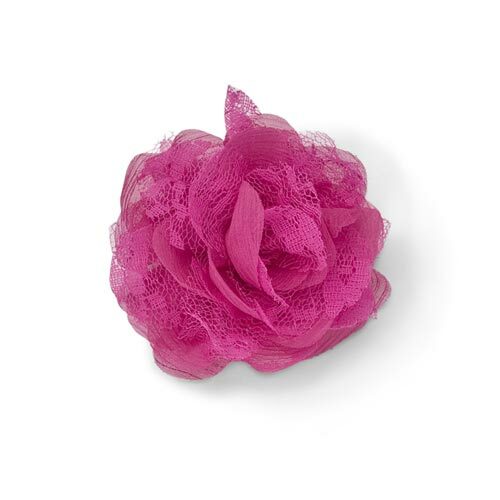 For the corsages and boutonnieres, we will be using these pretty flowers for Thirty One Gifts. Since I started selling Thirty One products, I thought why not? Besides, these were much easier to order than make; and for $5? Well, can't go wrong there! We also ordered some green ones.